But, the consumer is of course relatively wary and resistant to these methods. We keep thinking that if only we can automate the process a bit more, and do less work, that we'll achieve the goal. One of the simplest and most profound pieces of wisdom that has come along my path in relationship to technology projects is: deadlines are an illusion. Projects that are worthy and valuable take a long time. To make something beautiful and useful you have to make many mistakes and tear it apart again and again until its well refined. You know that you have hired the right person for the job when they actually derive joy and satisfaction from tinkering with the tools that you rely upon for success! 1. Create Strong Passwords for all Drupal and sensitive email accounts used by [YOUR COMPANY] Staff. A Strong password is typically 8 characters long +, has upper and lowercase letters, a symbol (e.g. # % ^ &) and does not contain any personally identifiable information or anything someone could find out about you online. This handy document might help you: http://www.pctools.com/guides/password/ . Typically, an attacker gains access to you email or an admin account, where they can “escalate” their privileges by getting more usernames/passwords. I would like to preface this article with credit to the author, omega8cc, and to the aegir team, http://aegirproject.org/. omega8cc offers full barracuda aegir and "mini-vps" hosting, if you are looking to have it hosted for you, and want to make you own sites, I recommend that service. I am only hosting sites I'm directly involved with building at this point. Interested in how to be a computer worker or office worker and stay in good health? 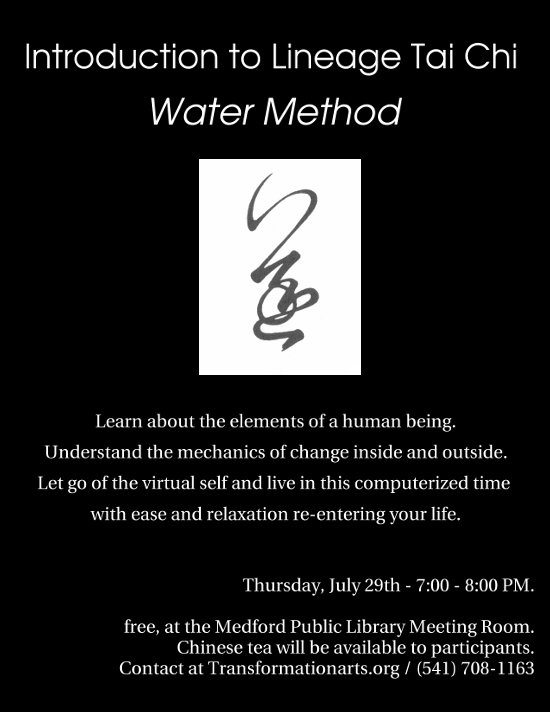 Check out Tai Chi, the water method. I would like to extend an invitation here to Ashland, OR and surrounding area non-profits and not for profits to use the recently launched OpenAshland.co: an online group organization, collaboration, and project management platform. Think of it as kind of like Basecamp, Microsoft Project, Facebook, and Google Docs all mixed together in a cohesive interface, without as much fuss or confusion. Keep It Simple Silly (KISS) is our principle. We would like to host 10 groups for free! Just a simple post here, been looking at Smashing Magazine, Logo Lounge, and My Fonts. Follow a trend to be relevant, but deviate in areas where originality is present and deserved.